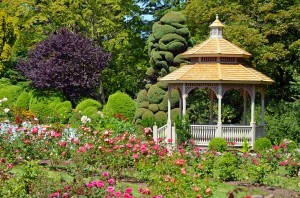 Gazebos are of a rich architectural tradition going back millennia. Born from the ornamental architecture of Persia, China, and Greece, the modern gazebo can be a great way to make your property look timeless. They can be a beautiful shading area and focal point for any larger scale event like a wedding reception or anniversary party, and are an excellent way to create a beautiful covered space on your property. 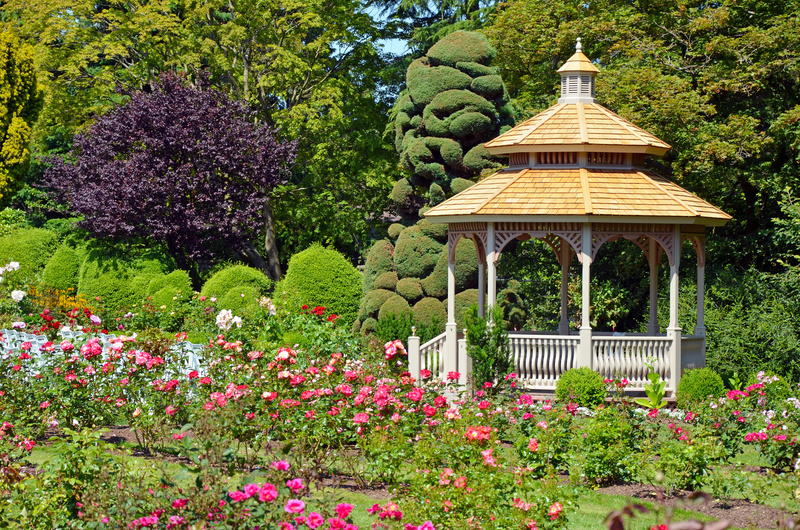 Gazebos look great standing alone, or as accents to other structures like decks, ponds or fencing. Adding a gazebo onto an otherwise sparse deck can turn it into a whole new outdoor extension of your house. If you have a pond, a gazebo can make it a cherished destination on your property rather than merely an ornament. A pool area gazebo can provide shade for your poolside activities, or even cover your hot tub. We at the Fence Specialist take pride in our ability to custom build each gazebo to match your home. Come visit our showroom in Lindon, or contact us at 801.796.0391 for more information.